We are very pleased to be stockists for Melin Tregwynt’s Welsh blankets, throws and cushions. Their mill can be found in a remote wooded valley on the Pembrokeshire coast where there has been a mill since the 17th century, when local farmers would bring their fleeces to be spun into yarn and woven into sturdy Welsh wool blankets. Owned by the same family since 1912 the Mill now employs over 30 people, and makes things that are useful, traditional and beautiful. 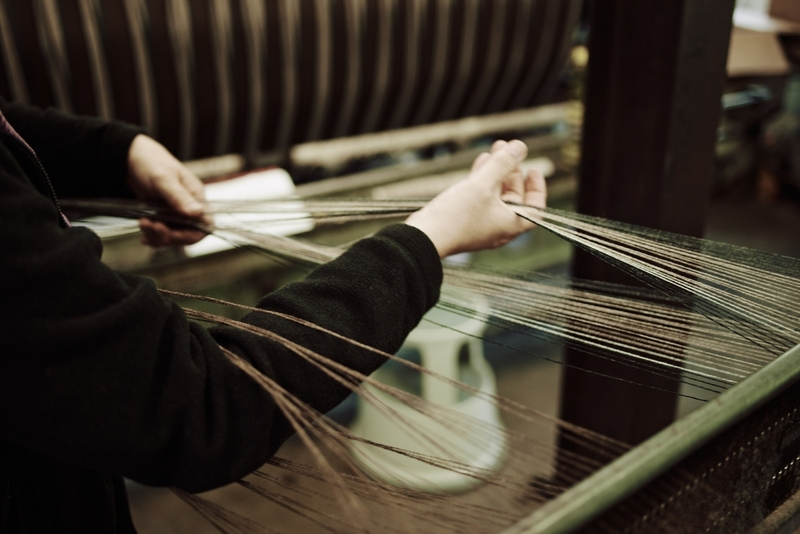 The tradition of weaving in Wales goes right back to the middle ages; the hills and lowland pastures make for great sheep country, and fast running streams provided the power needed in the pre-industrial age. In the early 20th century most small rural mills worked with their local farming communities processing the raw fleeces, carding and spinning yarn for weaving, and knitting and also weaving fabric for everyday clothing (tweed/flannel) or weaving blankets, rugs and the signature Carthenni double weaves for household use. This link to local farms was broken in the 1950s when the British Wool Marketing Board began to buy all the wool centrally, so it was no longer possible to buy specifically local or Welsh yarn. As wool was now sorted on quality most Welsh yarn found itself blended into woollen carpet yarns. Today in a global market wool is sourced worldwide and much of the softer lambswool comes from Australia or New Zealand. 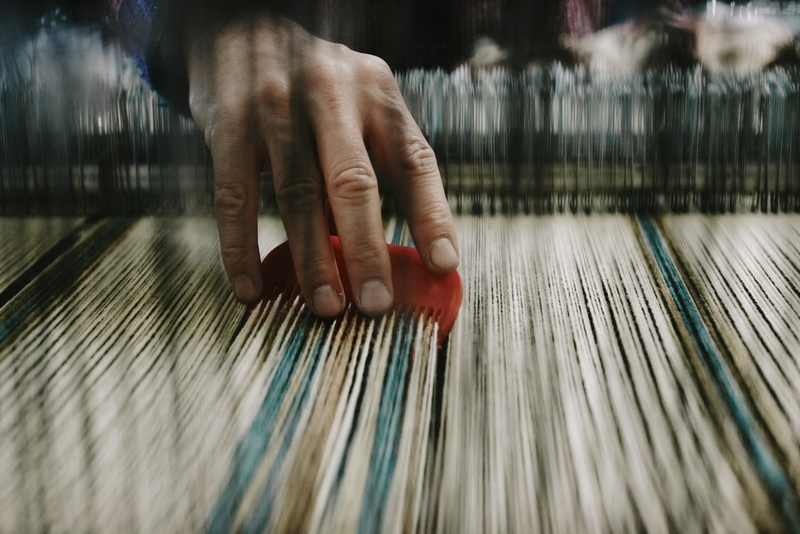 In 2016 Melin Tregwynt began working with the Cambrian wool initiative to start using local Welsh wool once more, developing it into a weaving quality. As partners in this project they are involved in the first steps of a new venture that will see commercial production of fabrics that are designed and woven in Wales out of Welsh yarn. 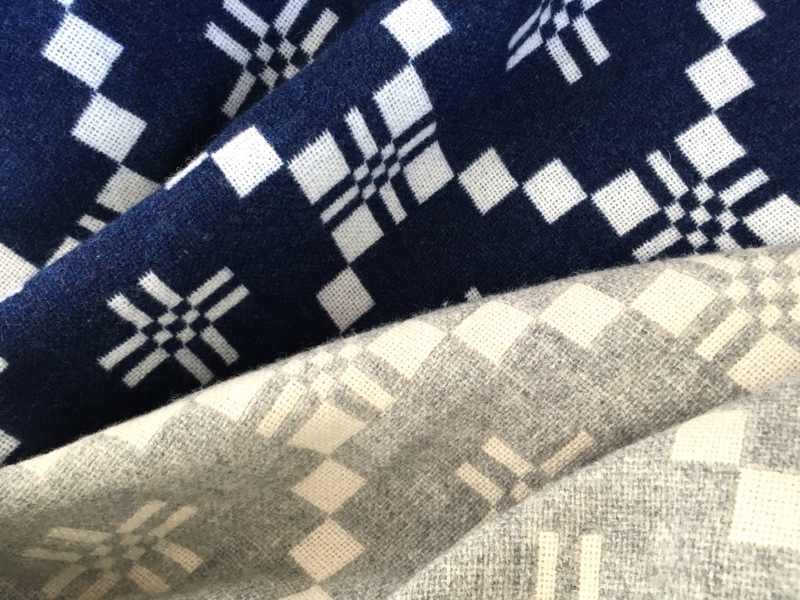 At FRANK we’re focusing on Melin Tregwynt’s double-cloth fabrics, which are woven in timeless graphic patterns, inspired by traditional Welsh designs.